A couple weeks ago, something came to my attention that, if it really lives up to what they promise, could finally be something actually innovative in electronic travel aids. 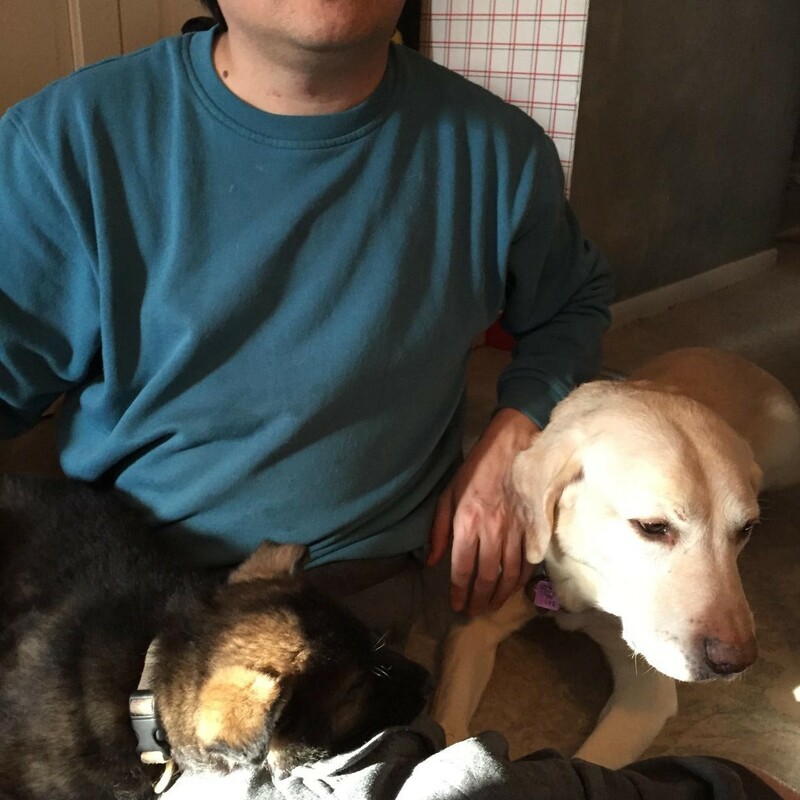 For a while now, we’ve all seen that next great new thing that will promise to reduce or even eliminate the need for a white cane or guide dog, or so the popular press surrounding such announcements would usually have it. These things always had one really glaring problem. Well, a couple of them, but one huge problem. They would detect obstacles, but that didn’t help much for things like steps, curbs, dropoffs, holes, and terrain changes, things that a cane, or a guide dog, alert to in the natural course of their use. I’ve said that whole time that if someone can crack that particular problem, I’d be interested in listening, but until then, I didn’t consider any of these supposedly helpful products terribly interesting. Especially since many of them would take up a hand, and you’re already using one of those for a cane or guide dog. A couple weeks ago, a startup in India started following me on Twitter, and I started looking at what they were doing. Oh, look, it’s another electronic travel aid. But, wait, they claim what? That you can *run* without the need for a cane? Color me skeptical. I asked for more information, and got it yesterday. 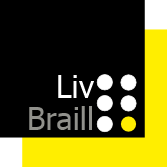 I also called and managed to have a chat with the CEO of the company, Live Braille (or Embro…I see both names, but it’s livebraille.com). Here’s what I’ve found out. For the past year, this company has made a wearable electronic travel aid called Live Braille Mini. Very like other similar things, it uses sound to detect obstacles at up to 3.5 meters away in long range mode, or 1.5 meters in short range mode. That’s close to 12 feet and about 4.5 feet, respectively. But then, it gets interesting. First, it really is wearable, as it’s a ring you wear on your finger. I expect it’s a rather large ring, but nonetheless, a ring, massing 29 grams, or weighing just a smidge over an ounce, according to Google. Using various vibration patterns, they claim something like 117 distinct patterns, and sensing at 50 times a second, the company claims one can not only detect the distance from an above ground obstacle, but also its speed, and even what kind of obstacle it is, as you can get an idea of your environment by waving your hand. There’s apparently a video of a blind kid chasing a sighted volunteer using only the Live Braille Mini. Pretty impressive, especially for $299. But here’s the really interesting bit. I’m told a newer product will ship in July. The Live Braille Walk Pro is also a ring. It’s smaller than the Mini, runs for two hours on a charge, but comes with a charging case that extends that by quite a lot. Like the mini, it uses vibration to indicate speed, distance, etc. Unlike the Mini, however, it uses light rather than ultrasound. This means it’s water resistant, perhaps even waterproof, and, I’m told, the performance should not degrade over time as a device using ultrasound would. It also will detect ground level obstacles like steps, holes, curbs, and the like. The cost for the new device is considerably higher, at a retail of $1499 and a preorder price of $1199, but it comes with insurance and a lifetime warranty, as well as a personal setup and orientation call. “Think of it as like buying a high end luxury car”, said Mr. CEO. So, putting my money, literally, where my mouth is, after saying that an ETA that would detect steps and such would be worth something, I bought one at the preorder price. I’m the ninth person to order one, so this is pretty new. The company tells me that there are 10,000 or so Live Braille Minis out in the world, in the hands of blind people inIndia, the UK, and South America. If you’re the adventurous type and want to buy either a Mini or preorder a Walk Pro, you can, and you can even get a discount. There’s a bit of a misprint if you select to preorder a Walk Pro. Payment is through Paypal, which means you can use Paypal Credit if you want to pay it off over time. If, on the other hand, you’re justifiably skeptical but are interested in what happens when it releases, I’ll definitely be sharing my experience with the Walk Pro when it gets here.